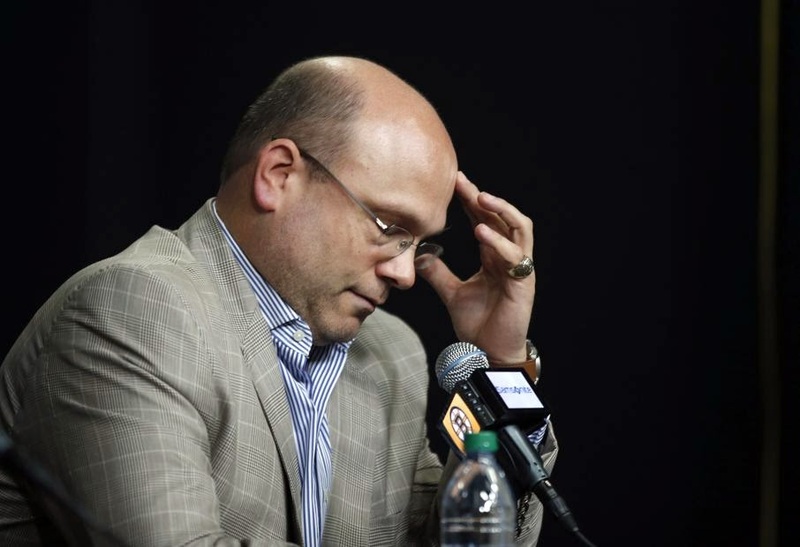 Boston Bruins President Cam Neely announced today that the team has relieved Peter Chiarelli of General Manager duties. Neely and Bruins Chief Executive Officer Charlie Jacobs will hold a press conference to further discuss the news at 3 PM. Chiarelli was named GM in 2006 and served the club for nine seasons. Under Chiarelli, the team won a Stanley Cup in 2011, a President's Trophy in 2013-14 and a Stanley Cup Final appearance in 2013. His teams qualified for the playoffs in seven straights seasons, from 2008-2014. "We are grateful for Peter's service to the Bruins organization over the last nine seasons. His efforts undoubtedly helped the team achieve great success during his tenure and he helped restore the proud tradition of Boston Bruins hockey," Neely said. "We ultimately feel that this change is necessary in order to ensure sustainable success for the club both in the short term and the long term. Our search for a new General Manager will begin immediately." Chiarelli has come under fire as of late for the Bruins recent struggles, both on the ice and off. Many criticized his reliance on the aging core of the Bruins and inability to properly scout and develop younger talent. With the Bruins failing to qualify for the playoffs this year, many speculated that this would be the end of the Chiarelli-Julien era. Neely and Jacobs took the first step today, despite allowing Chiarelli to speak at clean out day on Monday.